Spend a few minutes with any gear-head and the topic of conversation almost always involves cars and inevitably veers to the fun things to do with them. Drag strip trips and track days are commonly discussed, an autocross for the cone counters, car shows for the paint buffs, but one of the more fun things to do is simply go for a drive..and what better way to do it than with a group of like minded car nuts - in a vintage rally or Targa event. A brief history lesson is in order: while the name Targa has become synonymous with the removable top from a Porsche 911 - the name is actually Italian for "Plate or Plaque". The original meaning of Targa isn't a race, it is a trophy, and the first Targa was awarded at the end of the world's first sports car racing event on the open roads in Sicily. The Targa Florio (1906-1977) was named for the race organizer Vincenzo Florio - who had also organized the early Coppa Florio (Florio Cup) and to this day folks refer to vintage racing and rally events as Targa. 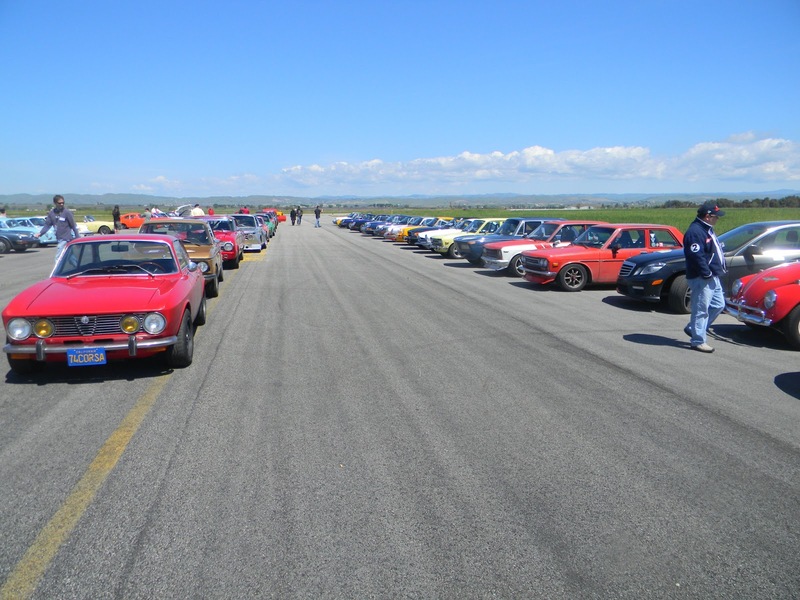 Now in its 5th year, the Targa California (April 11-13, 2013) is a vintage rally non-timed event held on public roads in the Central Coast California and includes special visits to car collections, a race track tour, and more. At events where lots of driving is expected, choosing a sub 20k car means that there should be enough room in the budget for repairs and emergencies. To that end , my choices would cover cars in the 8-15k range, so there is a cushion to take care of the surprises BEFORE one embarks on such an adventure. There is plenty to choose from that will provide a fun experience of what late sixties and early seventies motoring was about. Hey - is that Adam Carolla? Pontiac Tempest and Le Mans- there were some High Output models in both 6 and V 8 versions that are still hiding out there. DT: In truth, the list started as a few...but then like a cowboy trying to take one small sip from a spitune spitoon, once the juice was flowing it just wouldn't stop! Did we miss a few? Add your thoughts in the comments below. 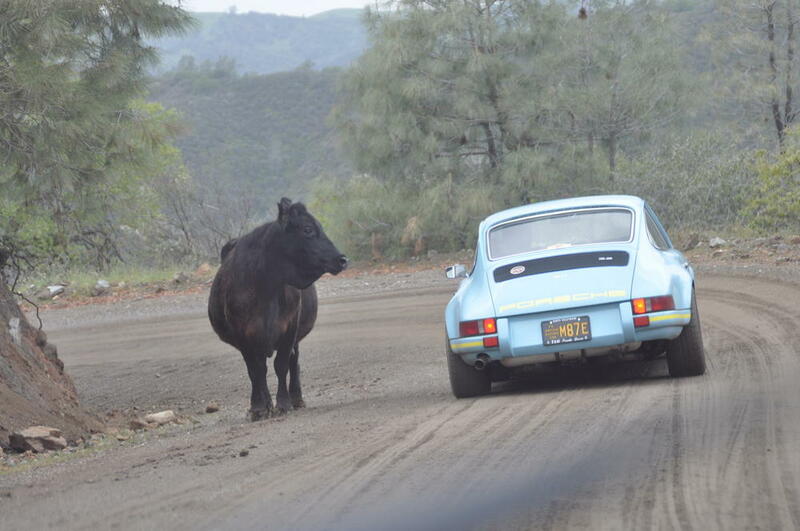 So, what can you expect from your first Targa event? Simply, an unforgettable 3 days on some of California's best sports car roads. Whether its a 51 Chevrolet La Carrera veteran , or a 71 Porsche 911ST (DT: or a 1975 Ford Thunderbird 429 Brougham) ; their drivers have big satisfied smiles on their faces at the end of the day. Sanctioned by National Auto Sport Association, the Targa California accepts classic cars from 1975 and older, with a slight twist. If you own a continuation model of that era , it will be considered for entry into the event. 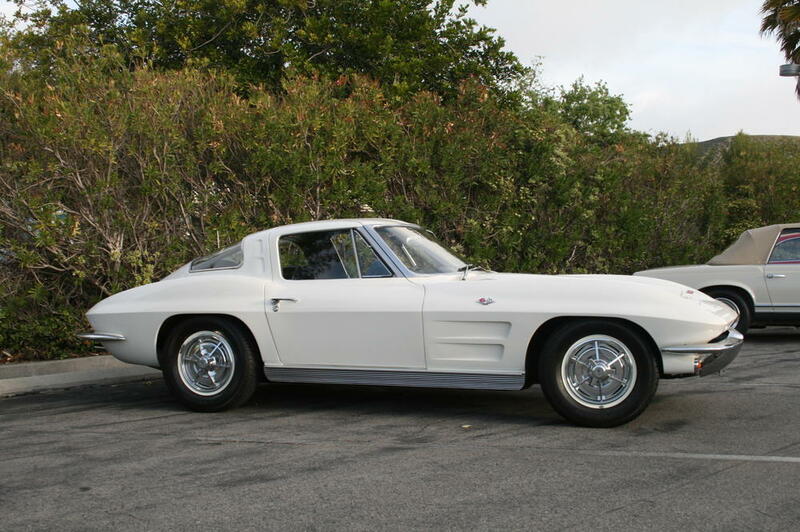 These exceptions are special, but its not unusual to see a later model 260Z or 78 Corvette joining in. Now in its fifth year, the TaCa likes to surprise its entrants with special visits to car collections, a race track tour, and more. The entry fee is kept modest due to low overhead and the generosity of its sponsors. Being non competitive in nature, you might see an Alfa Giulietta outpacing a 383 powered Barracuda. 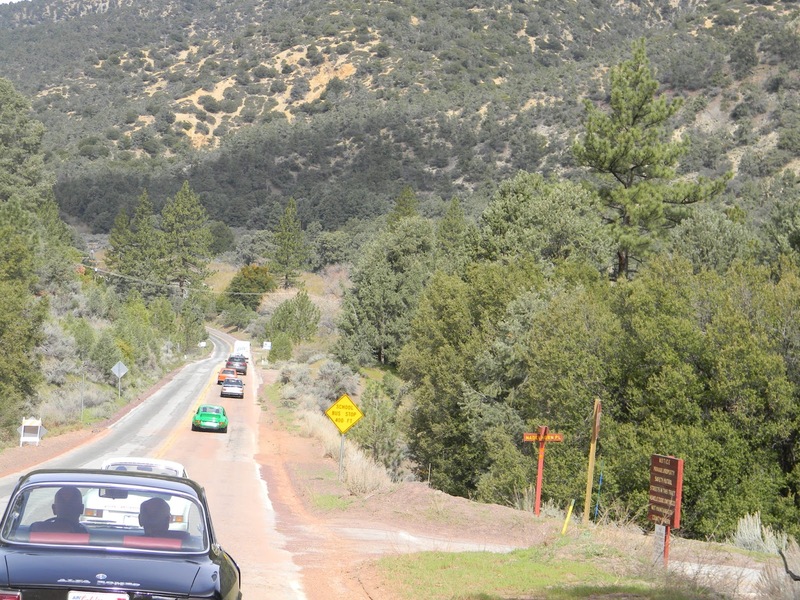 Central California has some of the best kept secrets when it comes to sports car friendly roads. The event is limited to 125 total entry and its already over half full as of this issue. This event is not one to be missed. Check out www.targacalifornia.com for more information and pics of last year's event. So quite a field to choose from. Once the car is selected, a thorough inspection is needed to identify any chassis, body, electrical, and drive train problems. Though fun to talk about around the dinner table, getting stuck in driving rain miles from no where, because your ignition wires got wet is not an experience to be repeated. Tires should be a maximum of 5 years old or newer, wheels inspected for damage/ cracks inside and out, brake hoses inspected and replaced if hard, sweating, or spongy. Master cylinders, lines, brake linings, hardware, parking brake, all lighting, turn signals, horn, wipers. Fuel hoses are a very important thing to take care of. Ethanol laced gasoline will break down older hoses from the inside out, and leak. Make sure you replace these with hoses made from alcohol/gasoline proof materials. Gear box and rear end oils should be fresh, oil and filter change for the motor, new fuel filter and carefully open the old one to check for rust inside. If you have rust, better get that gas tank looked at. We had a friend drive his Volvo on a rally, where he ended up changing TWENTY fuel filter over the course of three days. It was comical seeing him by the side of the road , changing filters again and again and again. We got a good laugh and he smelled like Chanel Octane 91 at the dinner table each night. Leave plenty of time in advance of an event , so you can get all your repairs and preparation done with time to spare. Take a few hour drive a couple weeks ahead of the event, so if some repairs need taking care of, you will get it done. Also published on jalopnik.com via the daily turismo kinja account, direct link here. This will always end up in a road race,so another reason to go.Dave is a good guy and a fantastic organizer.Be prepared to get constantly amazed,only if youre going of course. This is something no Gearhead should miss! My grandfather had them in his bar...............otherwise spot on! Oops, you are correct. I even did a quick google search for 'spitune' to see if I spelled it correctly - and even found images of 'spitune's and some urban dictionary references to 'xxxx-spitunes' that I dared not click on for fear of total loss of innocence. Update from the interwebz: this feature has been re-featured on Jalopnik / Kinja for your commenting and viewing pleasure.